Carlisle Air Automotive has been providing the San Antonio community with complete car care since 1955. We may have made a name for ourselves repairing automotive air conditioning systems, but we do so much more than that. We provide all of your general auto repairs and maintenance needs, including oil changes, brake repairs, auto A/C repairs, fleet services, and so much more. Our technicians are ASE Certified which means they’re highly-skilled in all areas of automotive service and are experienced with all types of vehicles – cars, trucks, vans, SUVs, and commercial fleet vehicles, including Sprinter vans, shuttles and busses. To strengthen our techs’ practical skills, our shop has been outfitted with the latest tools and electronic diagnostic technology to assist them with the timely troubleshooting and rapid resolution of any and all automotive repairs. Whether you’re in need of routine maintenance, or require major auto repairs, our knowledgeable staff is prepared to help. Discover why Carlisle Air Automotive is where San Antonians go for all their car care needs. Stop by our shop at 6411 San Pedro Ave today. Routine maintenance and well timed auto repairs are key to the overall health of your vehicle. However, there’s no one-size-fits-all approach to car care. That’s why we design customized maintenance schedules using a combination of your driving habits and the manufacturer’s recommended service intervals. 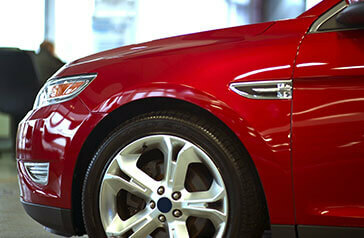 Our goal is to lengthen the life of your vehicle and strengthen its dependability. Our comprehensive service schedules include everything from regular lube changes and fluid flushes using quality fluids and filters, to tune-ups, timing belt changes, shock and strut replacement, and much more. Thorough inspections are also a part of your maintenance schedule. This includes checks of your vehicle’s computer systems, heating and cooling systems, drivetrain, suspension, steering, brakes, and tires. Their careful inspection will reveal any number of repairs or maintenance that are needed immediately, or in the near future. Our service advisor will work with you to establish a timeline for these auto repairs to be made to ensure your vehicle’s safety and reliability is not compromised. We keep you on a maintenance schedule that keeps you on the road. You don’t have to wait for a breakdown to schedule service with us. Avoid the frustration and hassle of major auto repair by bringing your car to Carlisle Air Automotive for routine scheduled maintenance. Contact one of our friendly service advisors today and they’ll work with you to develop an individualized maintenance plan for your personal vehicles, or commercial fleet. You may reach our North San Antonio location at (210) 558-1020. We look forward to earning your business and making you part of the Carlisle family.